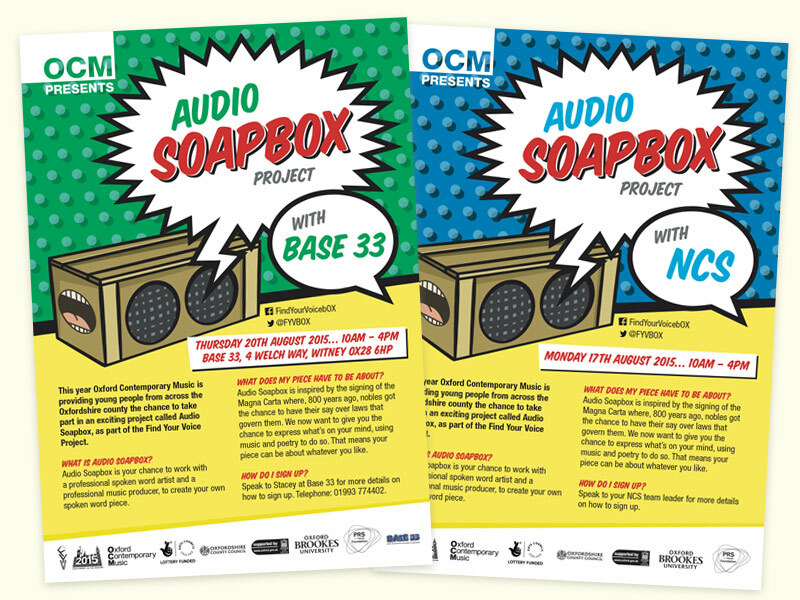 The Audio Soapbox Project, an initiative to let young people find their voice by working with music and audio professionals, was run by OCM from August 2015. I created illustration and design for a series of flyers for the project, to promote its events. They were for a young audience but aimed to present the information and associated organisations in a clear, lively and non-patronising way.